The journey had been a roller coaster ride for the team McLaren and the fans of speed and performance. 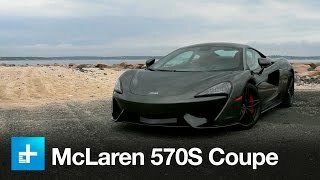 We are here talking about the show which began back then with the first McLaren supercar F1 and today here they are marking their presence at the 2015 New York Auto Show, with their all new McLaren 570S Coupe 2016. This release definitely adores the McLaren with a star badge in new segment and brings the company’s audience to a new level of race-derived techniques. 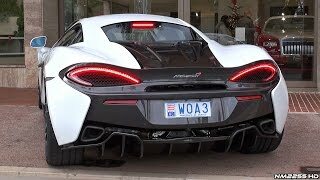 Saying, with the McLaren 570S coupe model the company has began a war with the Porsche 911 Turbo and other Sports cars present in market and this definitely is a positive sign, as competition is what brings new and best products in market. The McLaren 570S coupe shares its features with both, P1 and 650S. The smallest and least powerful road-going McLaren yet, the 570S Coupe promises to be as exciting as any sports car coming. Let us see what makes it exciting in market. 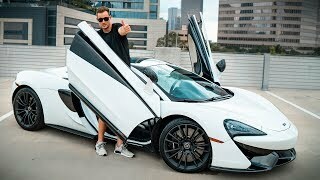 The team McLaren has definitely presented a good competition for its market rivals and this gets more affirmed with the detailed inspection of the Interior, exterior and the track performance of the all new McLaren 570S Coupe. Allow us to take you to a ride little closer. Like any traditional McLaren cabin, in 570S Coupe as well the cabin has been designed keeping in mind its functionality and visibility for driver. As previously we talked about of it being made to compete with the Porsche 911, the team has to offer day to day enhanced usability and roominess. The design presented is indeed intelligent and ergonomic providing most usable space in comparison to any McLaren till date. The 570S Coupe in its interior also holds the complete infotainment system, to keep you engulfed with joy in your day to day rides. The leather-wrapped seats and leather trimmed dashboard, the buyers can look for the sportier experience sitting in there on the racing units. 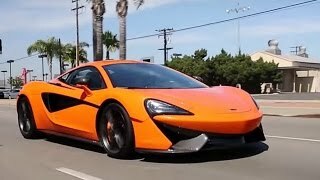 Apart from these the company provides you notable long list of options to chose and make your McLaren 570S Coupe closer to you. Just like its previous releases the 570S Coupe too has the ‘designed by air’ fascia with aero blades below the front bumper, large LED lamps and a round nose, giving it the striking appearance. The McLarens dihedral doors employing a ‘floating tendon’ further dividing the air flow, giving you minimized drag, simultaneously with the cooling and downforce further optimized to make the experience better. Unlike the front at the rear, 570S is totally unique in comparison to the previous mentioned family members. Large taillights exhaust pipes flanking the intricate diffuser using never less than eight vertical blades to make the car more aerodynamic. In all saying that 570S is one of the sexiest vehicle viewed from rear. Talking about its segment the 570S is the lightest vehicle making a whooping 642 pounds lighter than the 911 Turbo S. It might not be the quickest in the market, but it holds plenty of other reasons to make it close to its buyers. Its low curb weight results in good fuel efficiency and CO2 emission ratings. 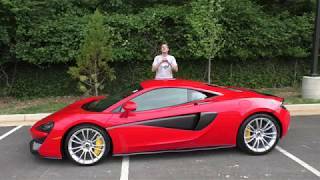 In all we can say that the McLaren 570S Coupe is a perfect option to go for, if you are looking in sports car segment.